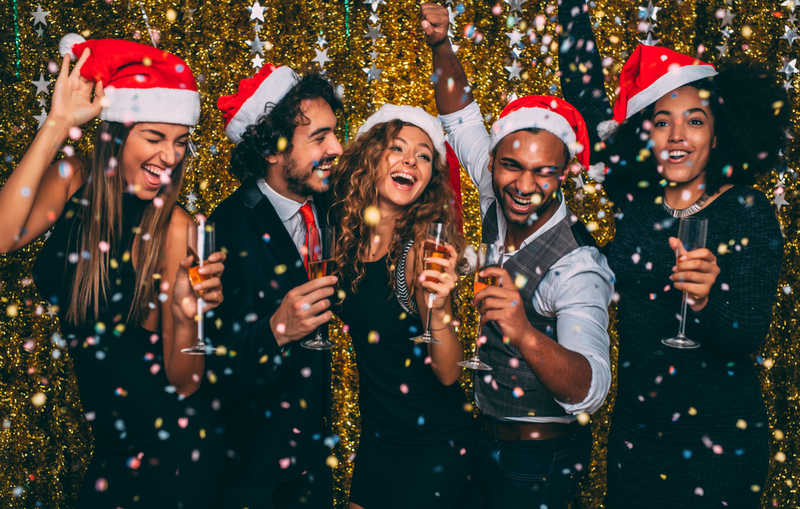 Sandra from accounts is rocking around the Christmas tree, Brenda in HR has passed out in a corner somewhere, and your boss is dancing on a table with someone who definitely isn’t his wife – it can only be the work Christmas party. Whether your office ‘do is like the above or an altogether calmer affair, new research from www.printerland.co.uk has revealed that over one in five Brits are dreading their office Christmas celebrating this year – with 40% citing potentially embarrassing themselves in front of their boss as the reason. A quarter also confessed to dreading the thought of mingling with management. If you find yourself in the cold-sense-of-dread club ahead of your night out, here are our top tips to make the whole experience a little less stressful ahead of the busiest weekend of that big night out. Avoid embarrassing yourself after one too many and make sure your stomach is lined ahead of the big event. Even if dinner is included, there’s a good chance that the drink will be flowing before you sit down for your starter. So have a hearty lunch to ensure the bubbles don’t go to your head. Make a pact with a colleague to look out for them and they’ll look out for you. That means making sure the other doesn’t get too tipsy, rescuing from potentially awkward situations and acting as a moral compass for the duration. You spend 40 hours a week in the company of these people, chatting about spreadsheets and deadlines and reports. Take the few hours of freedom to talk to your colleagues about anything but work. Your kids, your Christmas plans, that Netflix series you’ve binged, the football – get to know them as people! You might discover you actually like them. You don’t want to be the one on Monday morning who started spreading rumours and got caught out bitching about Louise’s dress. Stick to small talk and keep it polite. And don’t become the office gossip! If your office crush is present and looking particularly attractive in all their Christmas finery, that doesn’t mean you can get away with attempting a cheeky snog in the corner. Someone will see you. Rumours will fly. Stay away. Whoever you’re mingling with, be aware that you’ll have to see them on Monday. So don’t start telling your boss your deepest darkest secrets, don’t stop dropping f-bombs and perhaps keep your more risqué dance moves for another night. If you’re a huge fan of the Christmas party, remember that not everyone finds it at easy. So if you see a colleague on their own, get over there and talk to them and help them feel included. This is an excuse for a pretty cheep night out, with a group of people who’ve been working hard and are now simply having a bit of fun. Whether you’re counting down the days to the big do, or you find the whole situation rather awkward, remember – it’s a night off! Make the most of it.